A pocket-friendly place with minimalistically decorated rooms. Hotel Paris residency is located close to the Indian Institute of Science and provides unparalleled comfort in its price range. The property is immensely spacious and extremely well-decorated. The bedrooms at the hotel have light coloured walls and dark wood furnishings with one of the walls painted a different pastel color, making the rooms appear warm and relaxing. The hotel provides its guests with free Wi-Fi so that they can remain connected with the rest of the social world. Other amenities offered by the hotel are CCTV cameras and a card payment option. 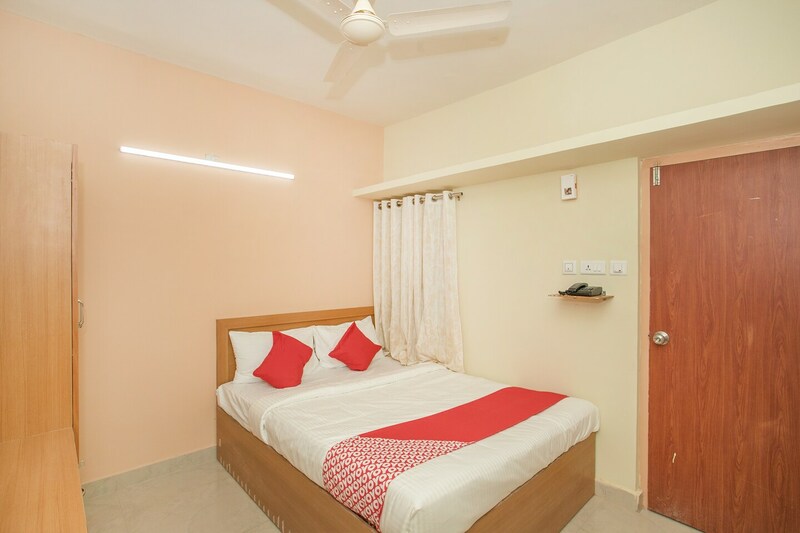 You can travel Bangalore easily from this hotel as this area is well-connected to the rest of the city and visit the famous attractions like Shiva Temple, Shree Dodda Ganapathi Temple, Sri Maheshwari Temple and Sri Gavi Gangadhareshwara Swamy Temple.